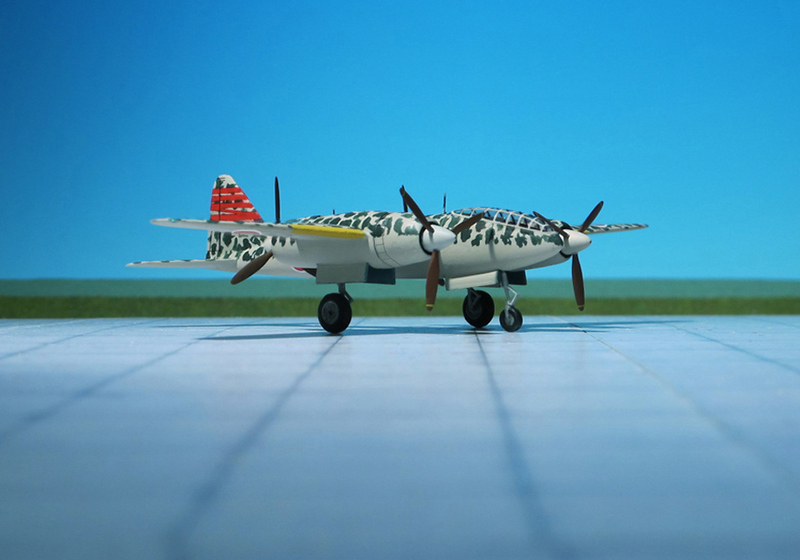 COMMENT: To the Allied aircrews ”Dinah” was known as the aircraft with the nice “linah”. 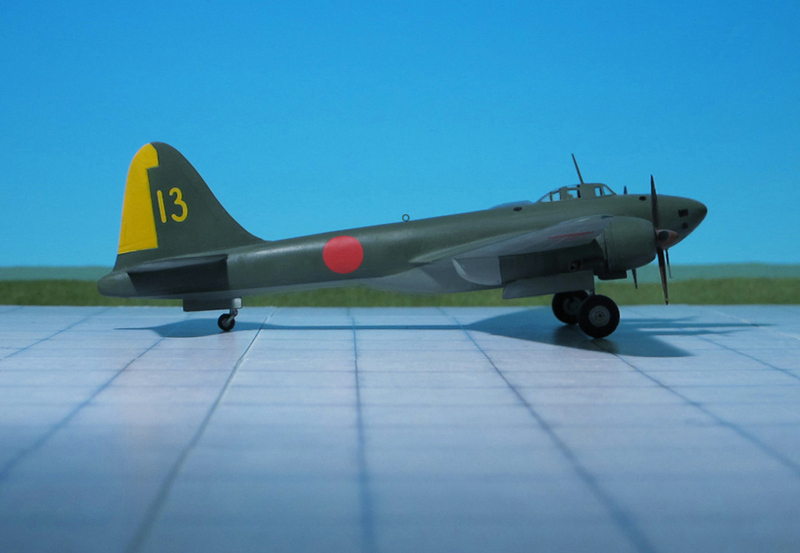 Indeed, the Mitsubishi Ki-46 had probably the most graceful lines of any fighting aircraft of WW II. 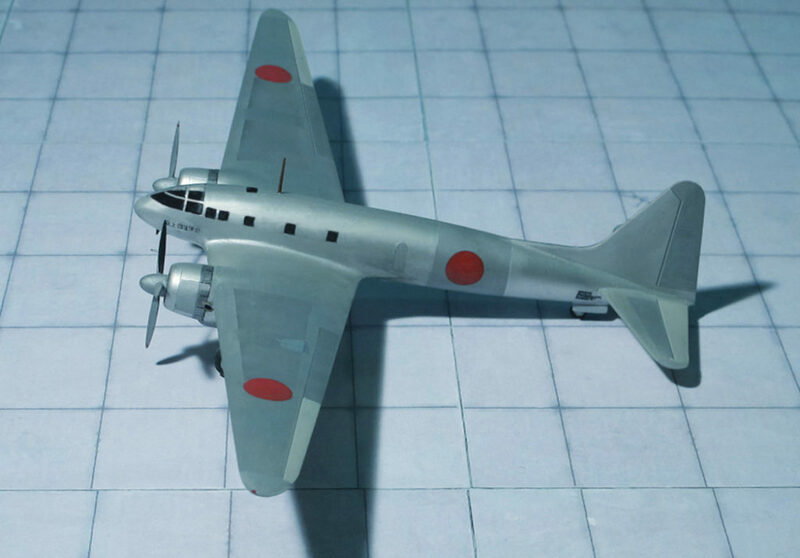 Cleanly designed, reliable and fast, this airplane performed its unspectacular tasks of high-altitude reconnaissance with considerable success from the first unauthorized overflight of Malaya before the Japanese invasion of that country to the surveillance flights over the US 20th Air Force’s bases in the Marianas during the closing stage of the war. 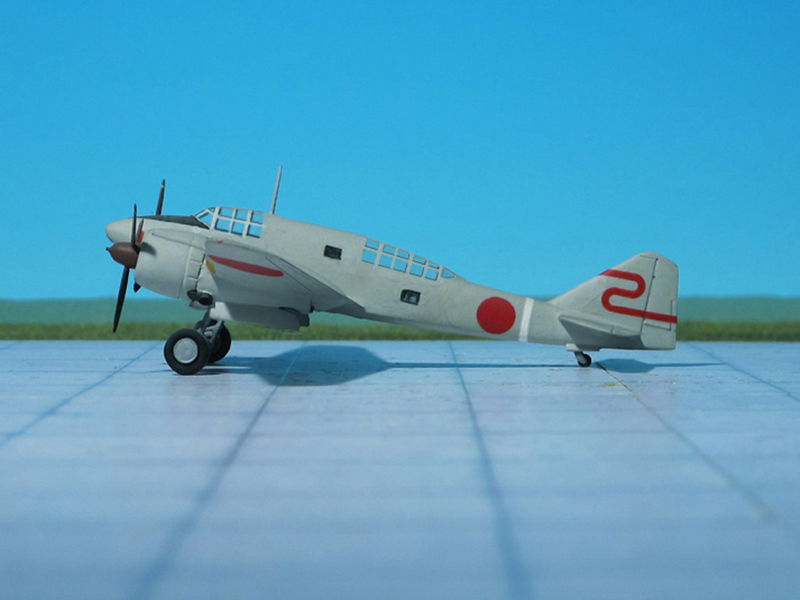 Respected by its foes and trusted by its crews, the Ki-46 also captured the attention of the German Luftwaffe with fruitlessly negotiated the acquisition of a manufacturing license under the Japanese-German Technical Exchange Programme. 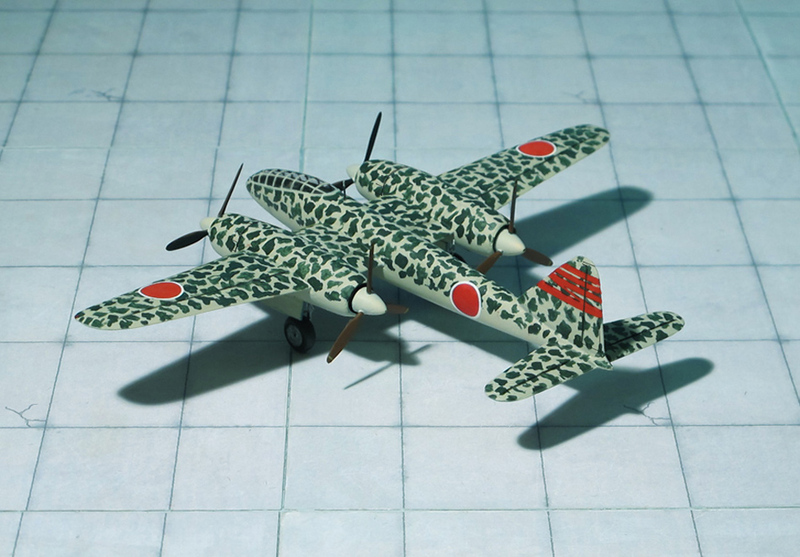 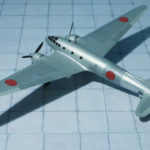 Because of the geographical location of Japan and the vastness of the area in which a potential conflict requiring their participation would be fought, the Imperial Japanese Army had a constant requirement for reconnaissance aircraft combining high speed with substantial range performance. 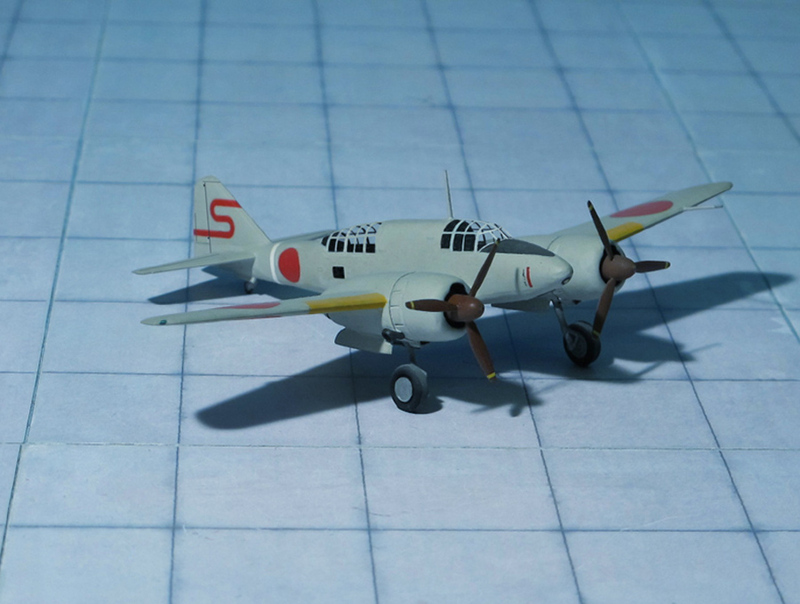 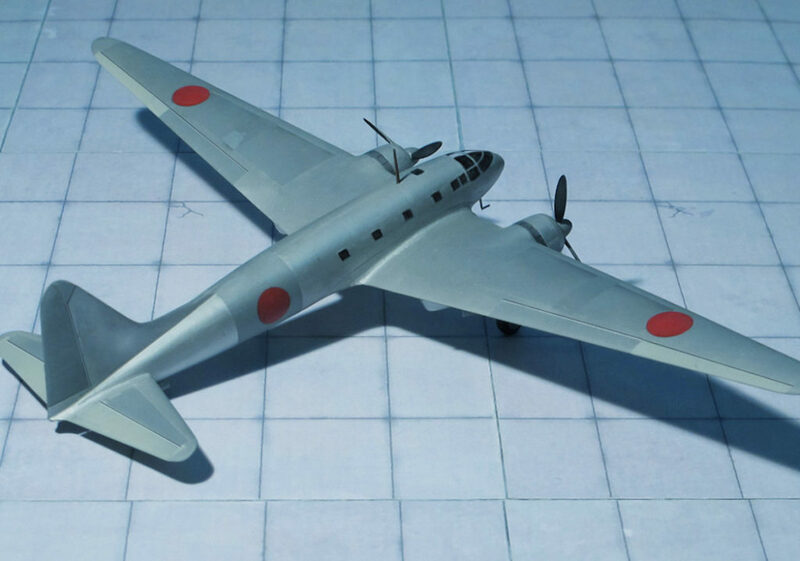 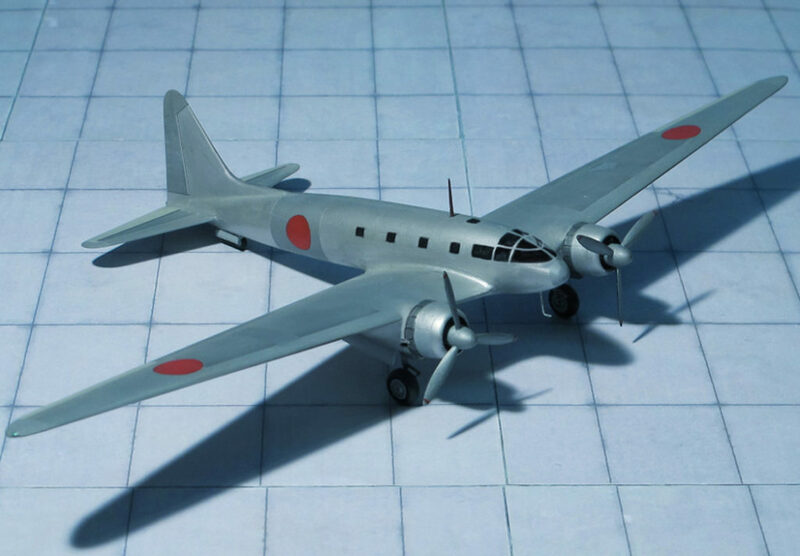 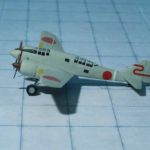 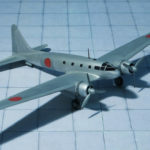 On 12 December 1937, the Imperial Japanese Army Air Force issued a specification to Mitsubishi for a long-range strategic reconnaissance aircraft to replace the Mitsubishi Ki-15. 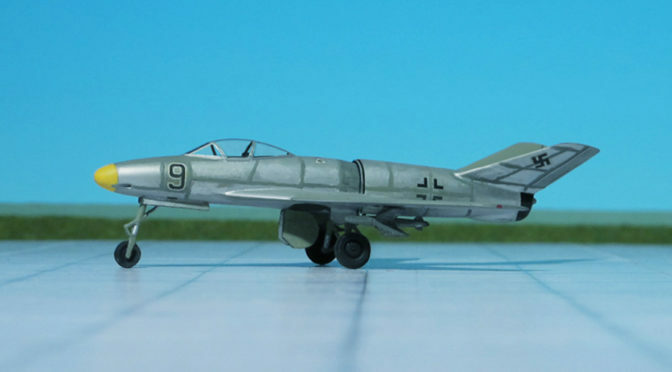 The specification demanded an endurance of six hours and sufficient speed to evade interception by any fighter in existence or development. 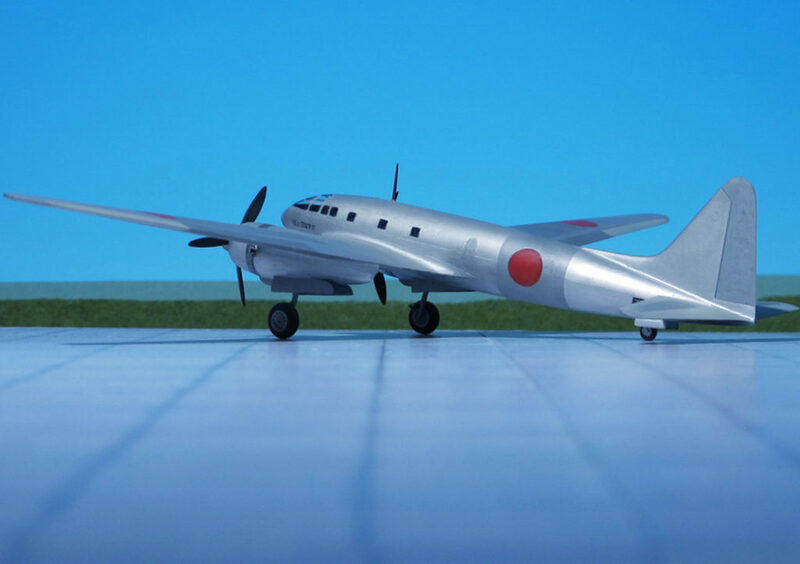 The resulting design was a twin-engined, low-winged monoplane with a retractable tailwheel undercarriage. 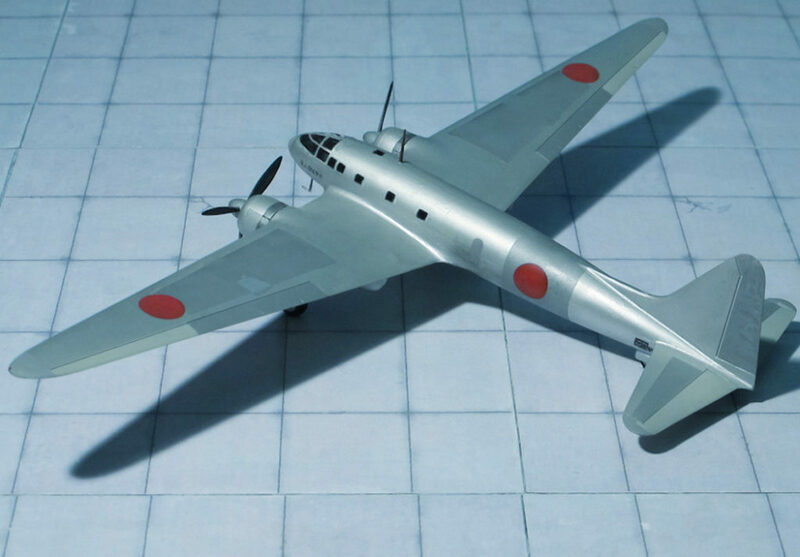 It had a small diameter oval fuselage which accommodated a crew of two, with the pilot and observer situated in individual cockpits separated by a large fuel tank. 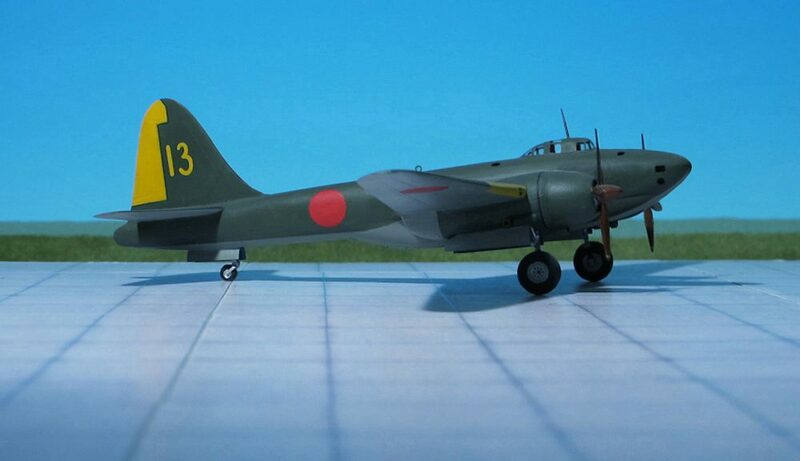 Further fuel tanks were situated in the thin wings both inboard and outboard of the engines. 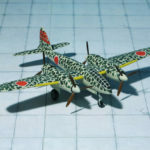 The engines, two Mitsubishi Ha-26s, were housed in close fitting cowlings developed by the Aeronautical Research Institute of the Tokyo Imperial University to reduce drag and improve pilot view. 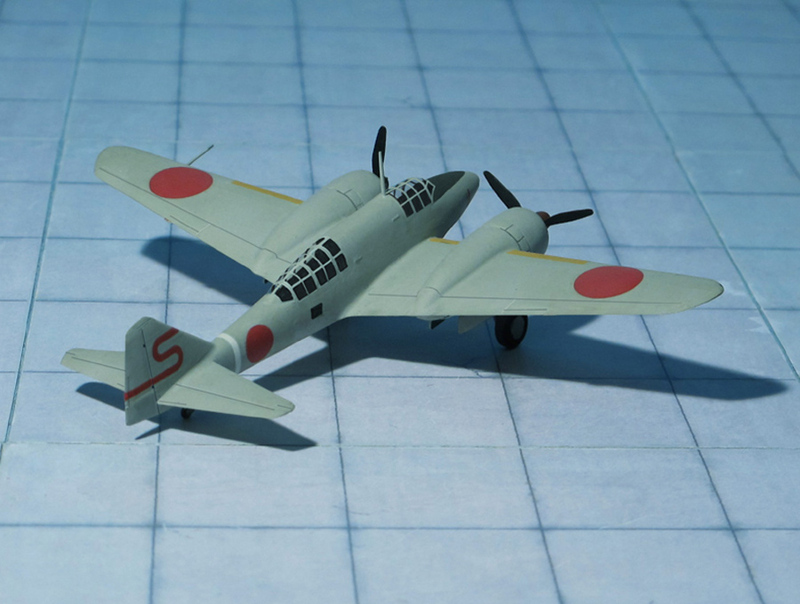 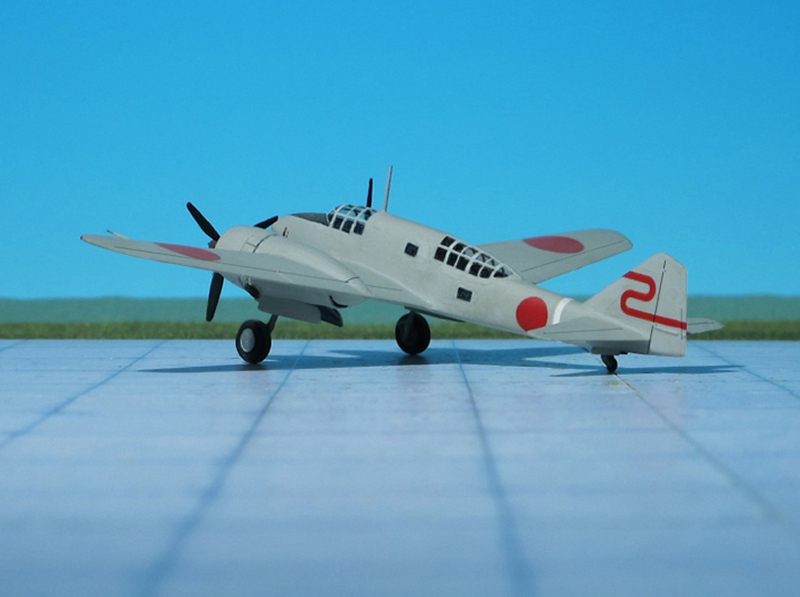 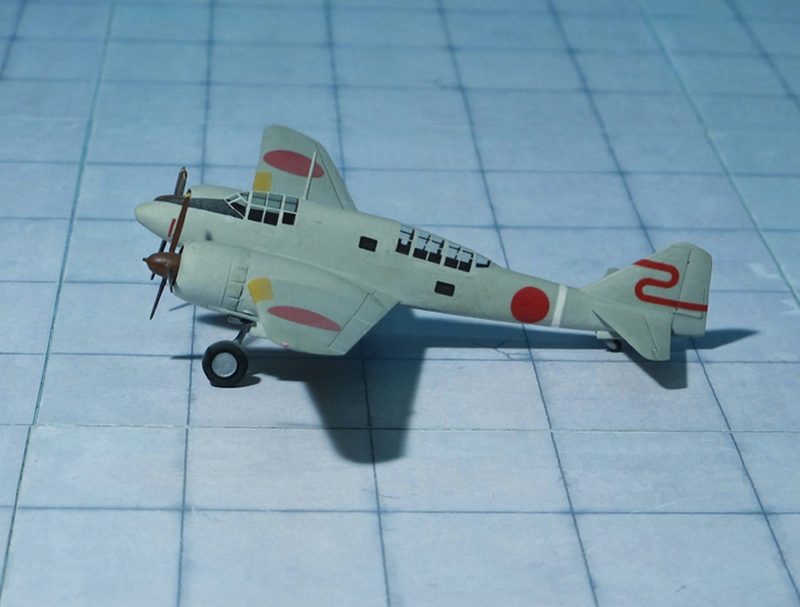 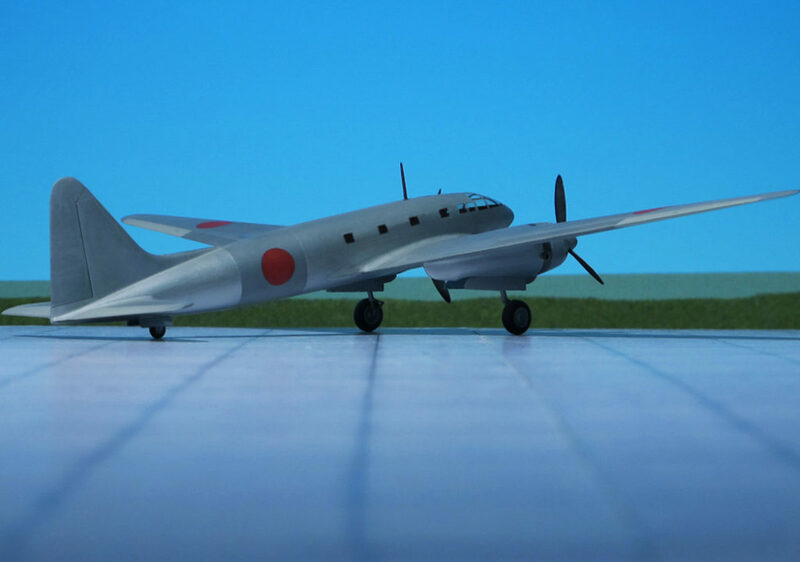 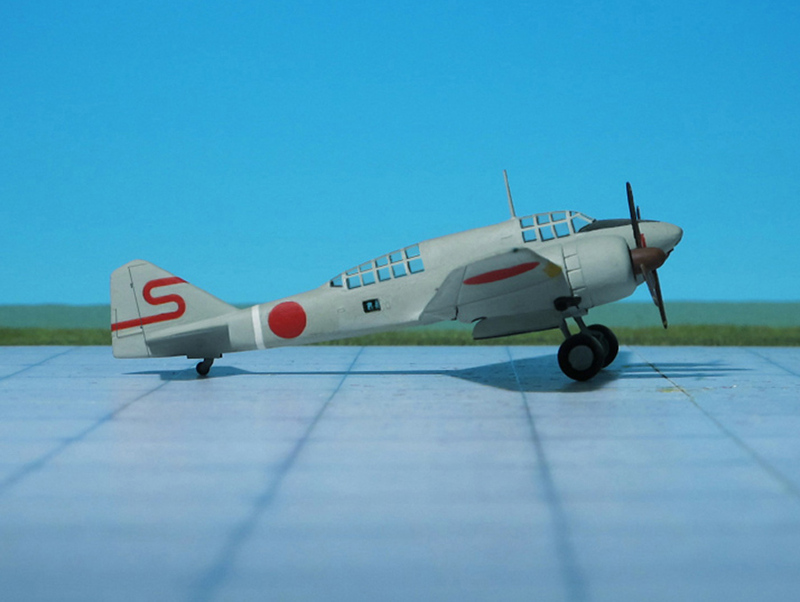 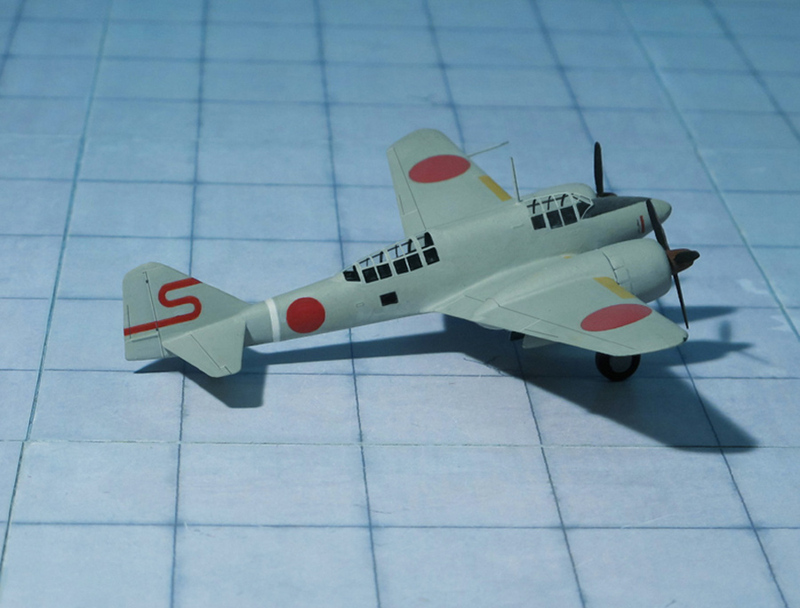 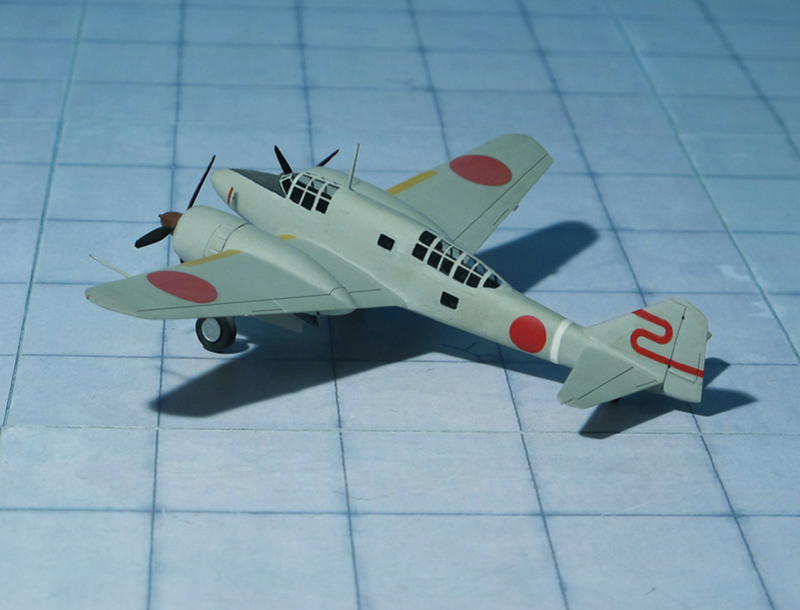 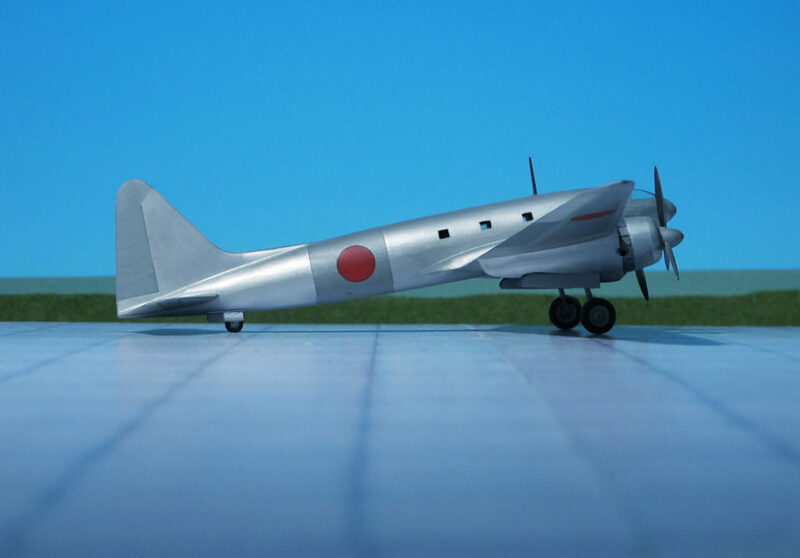 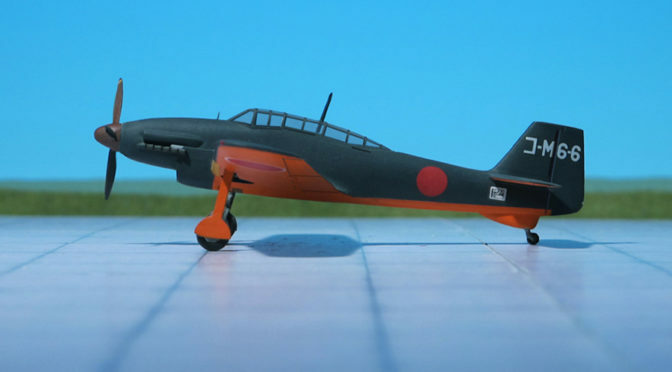 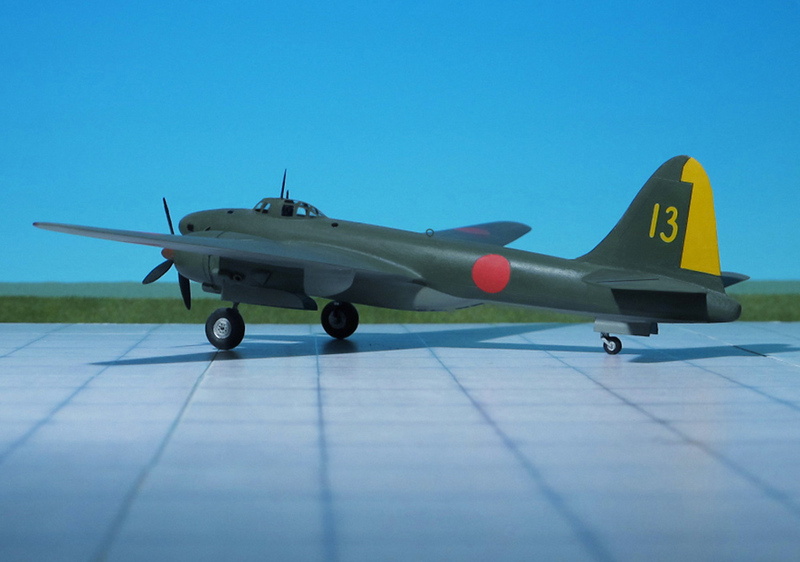 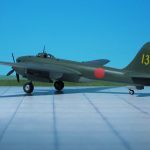 The first prototype aircraft, with the designation Ki-46, flew in November 1939 from the Mitsubishi factory at Kakamigahara, Gifu. 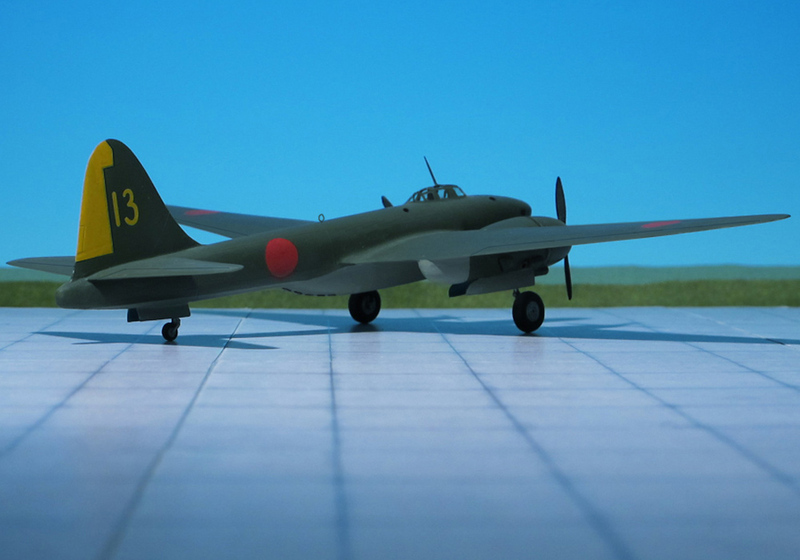 Tests showed that the Ki-46 was underpowered, and slower than required, only reaching 336 mph rather than the specified 373 mph. 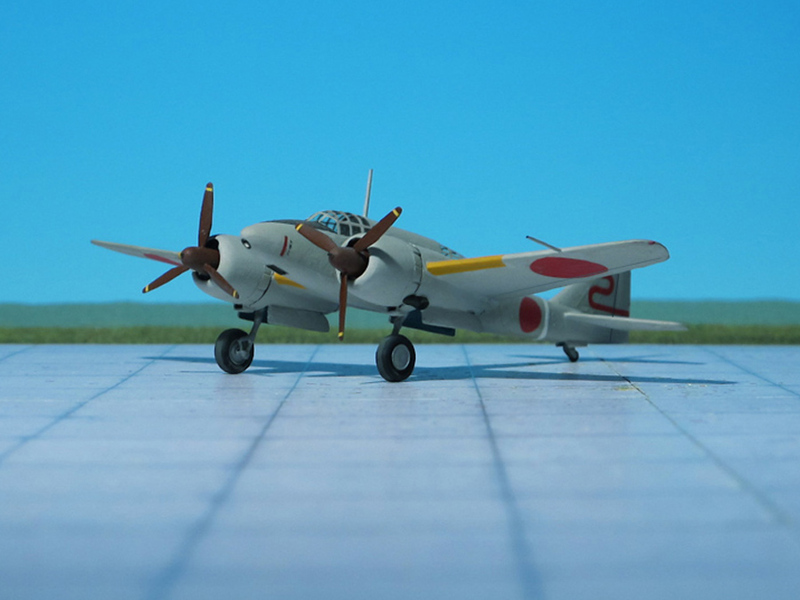 Otherwise, the aircraft tests were successful. 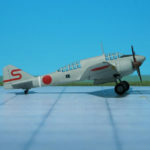 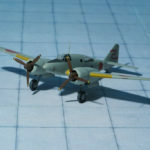 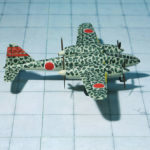 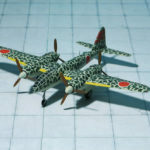 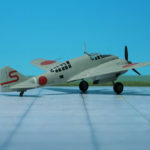 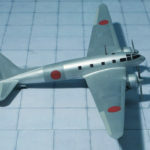 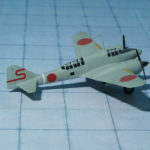 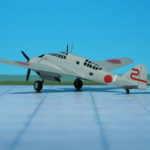 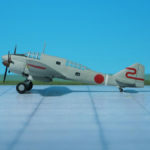 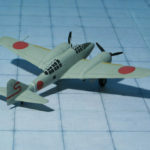 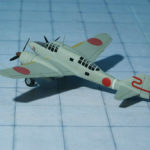 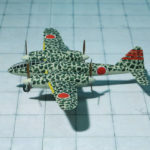 As the type was still faster than the Army’s latest fighter, the Nakajima Ki-43 “Hayabusa” (“Peregrine falcon”, Allied code “Oscar”), as well as the Navy’s new Mitsubishi A6M2 “Zero”, an initial production batch was ordered as the Army Type 100 Command Reconnaissance Plane Model 1 (Ki-41-I). 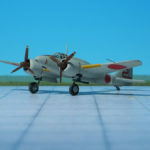 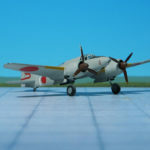 While testing of the Ki-46-I was going on, the engine plant of Mitsubishi had under development an advanced version of the Ha-26-I engine, the Ha-102, with two-speed supercharger which was expected to boost take-off rating to1,080 hp. 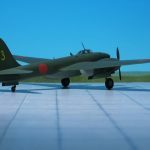 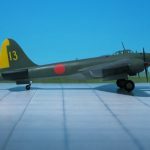 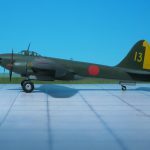 With this powerplant it was anticipated that the Ki-46 could easily meet its speed requirement and consequently Mitsubishi were instructed to proceed with the design of the Ki-46-II to be powered by a pair of Ha-102s. 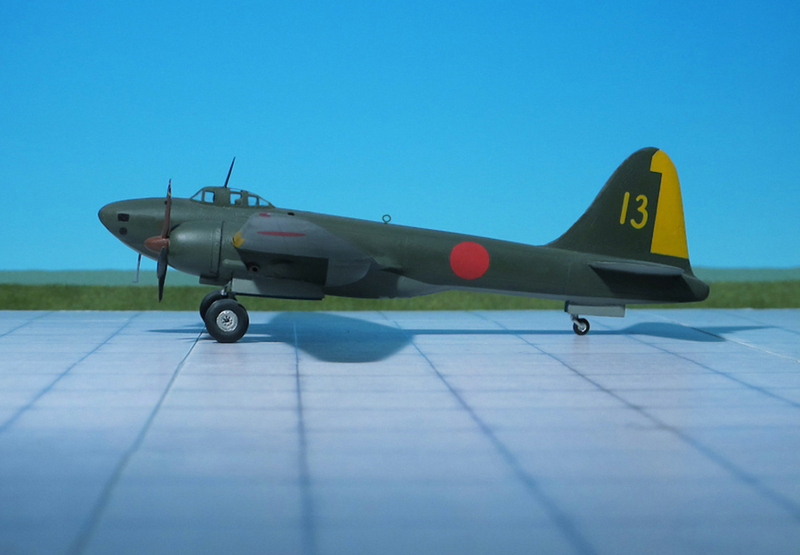 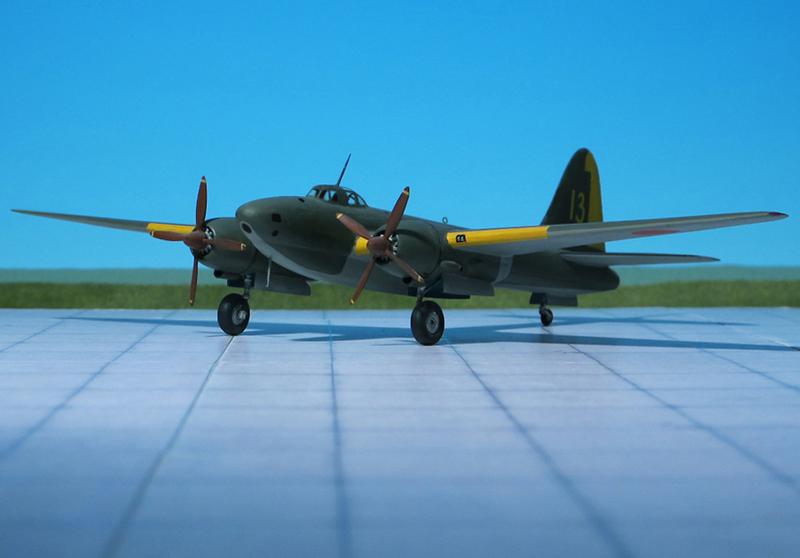 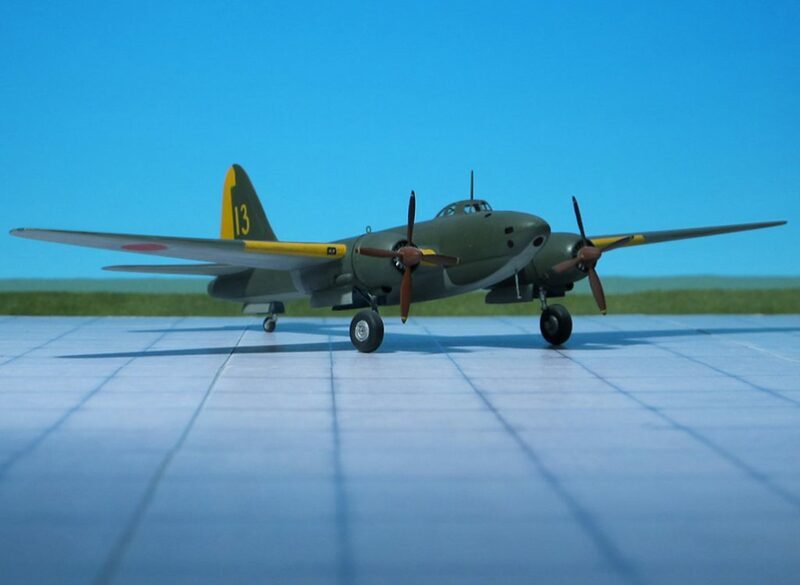 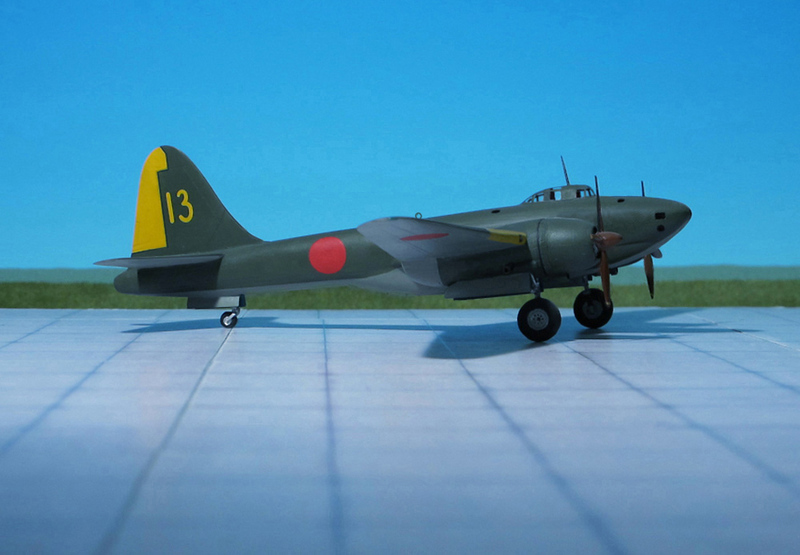 The first Ki-46-II was completed in March 1941 and the test progressed satisfying so the production started. 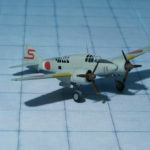 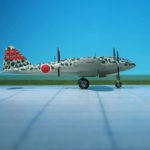 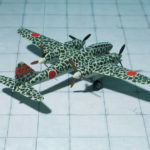 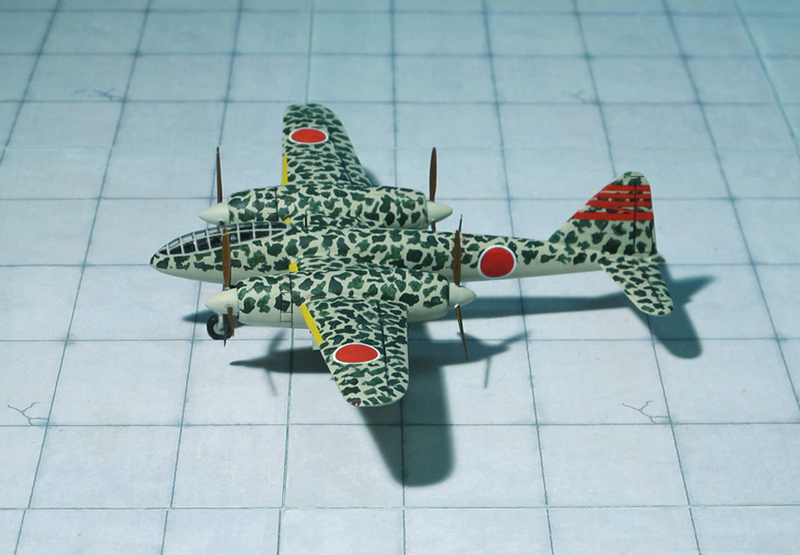 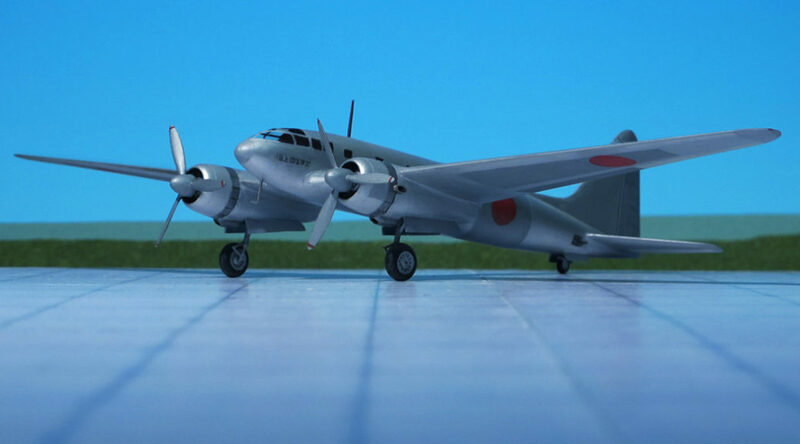 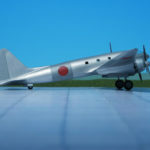 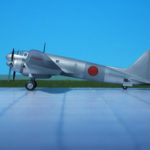 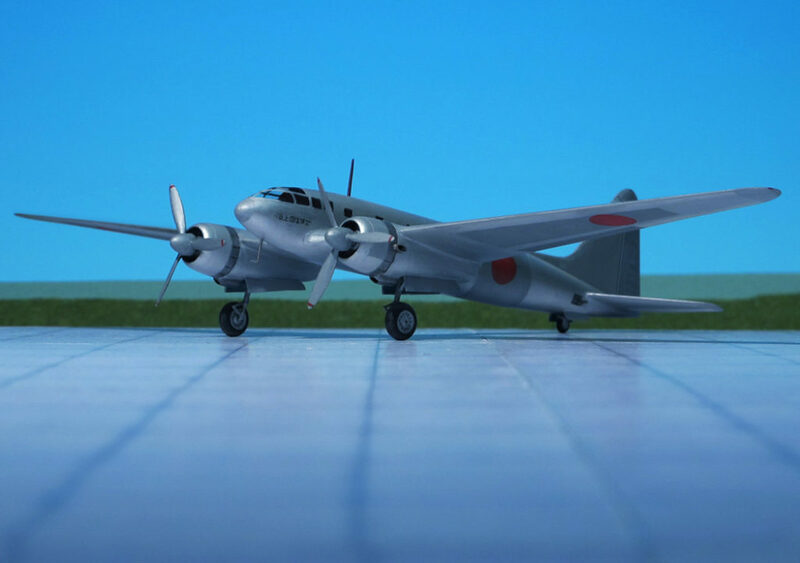 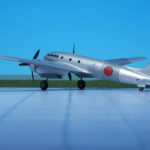 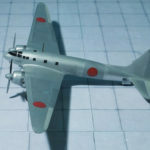 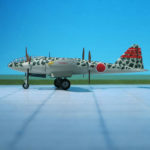 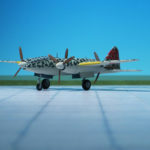 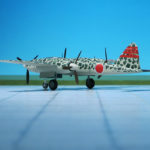 The new aircraft was first used by the Japanese Army in Manchukuo and China, where seven units were equipped with it, and also at times by the Imperial Japanese Navy in certain reconnaissance missions over the northern coasts of Australia and New Guinea. 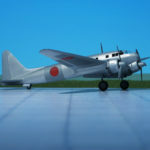 The Imperial Japanese Army Air Force used this aircraft for the same type of missions over present-day Malaysia during the months before the Pacific War. 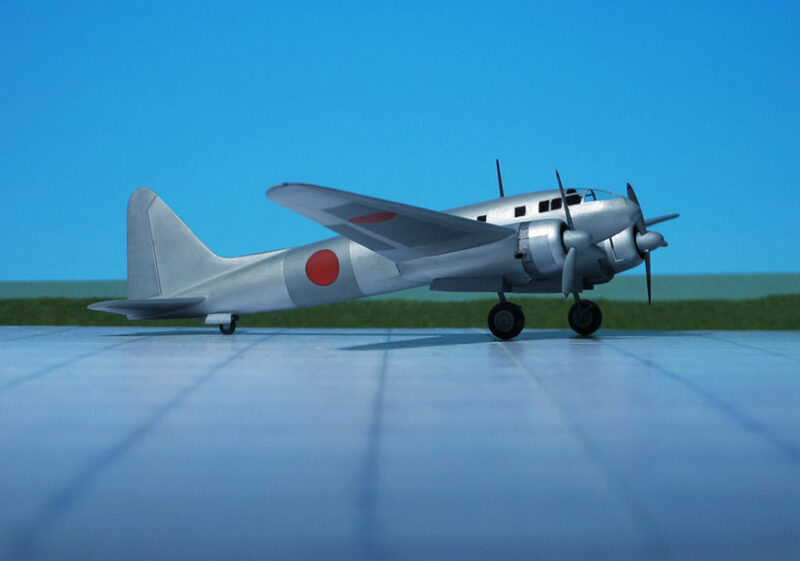 Later, it was used for high altitude reconnaissance over Burma, Indochina, Thailand, and the Indian Ocean. 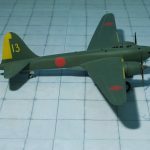 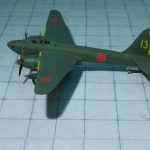 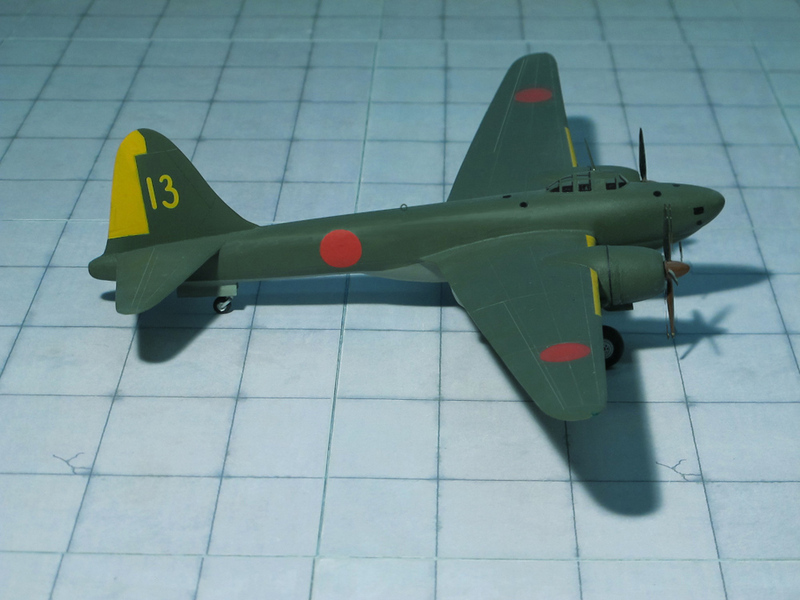 The Mitsubishi Ki-46 was regarded by the Allied as a difficult aircraft to counter, only occasionally intercepting them successfully. 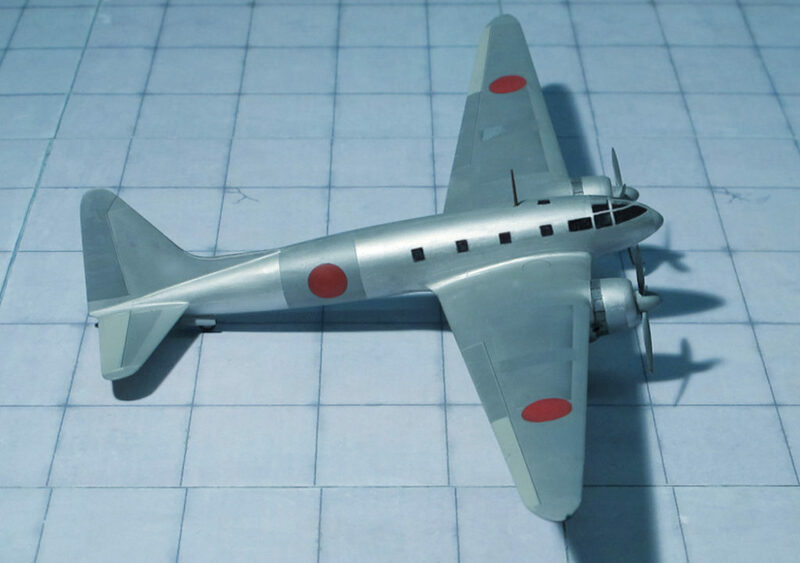 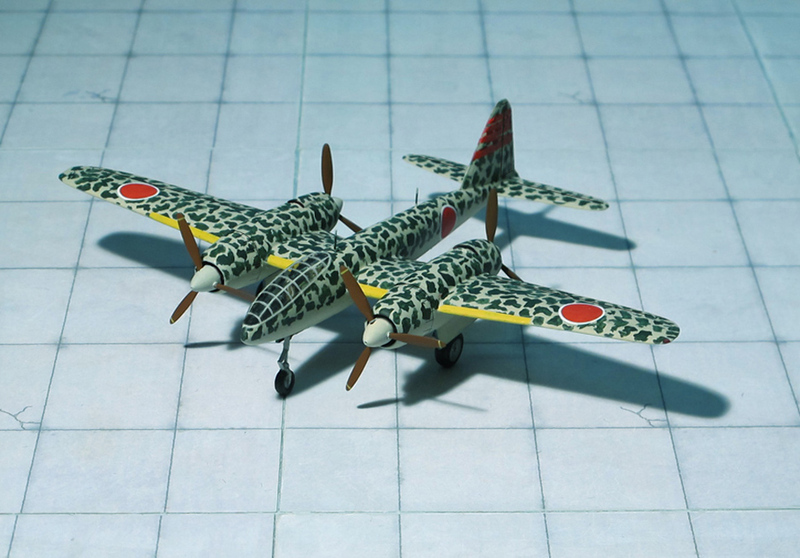 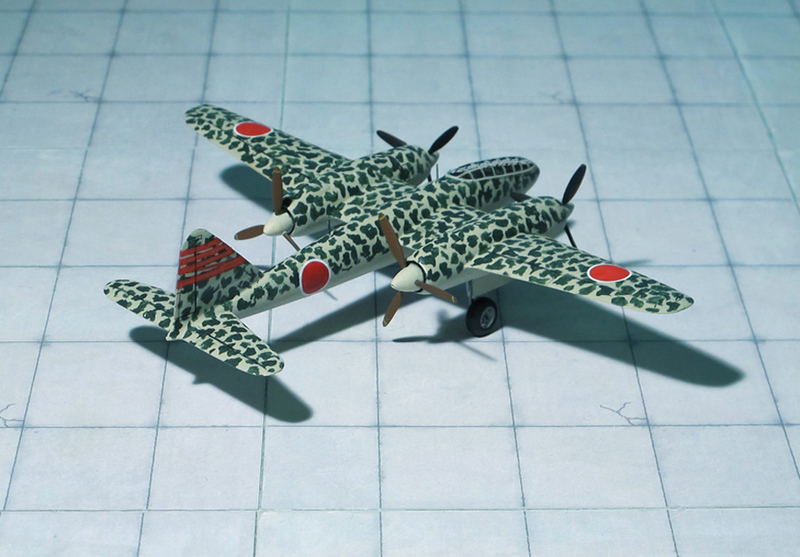 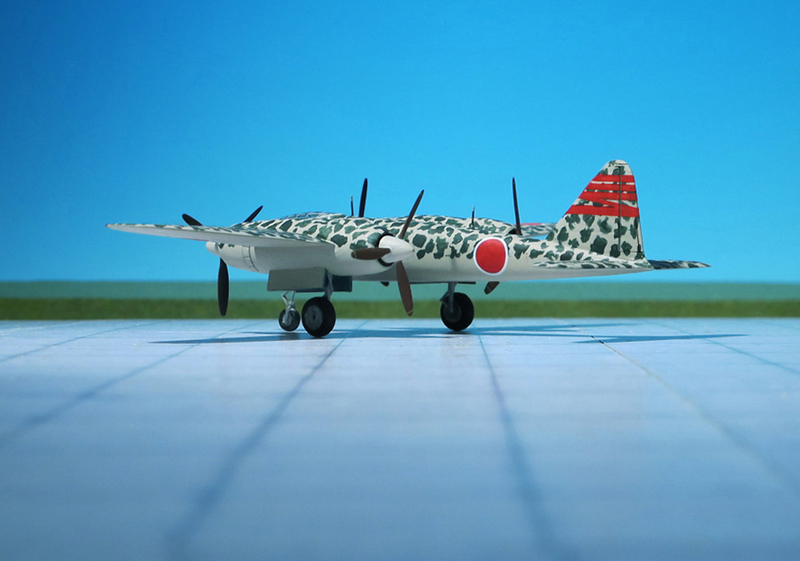 During WW II Mitsubishi factories produced 34 units Mitsubishi Ki-46-I, and 1093 units Mitsubishi Ki-46-II (Ref. 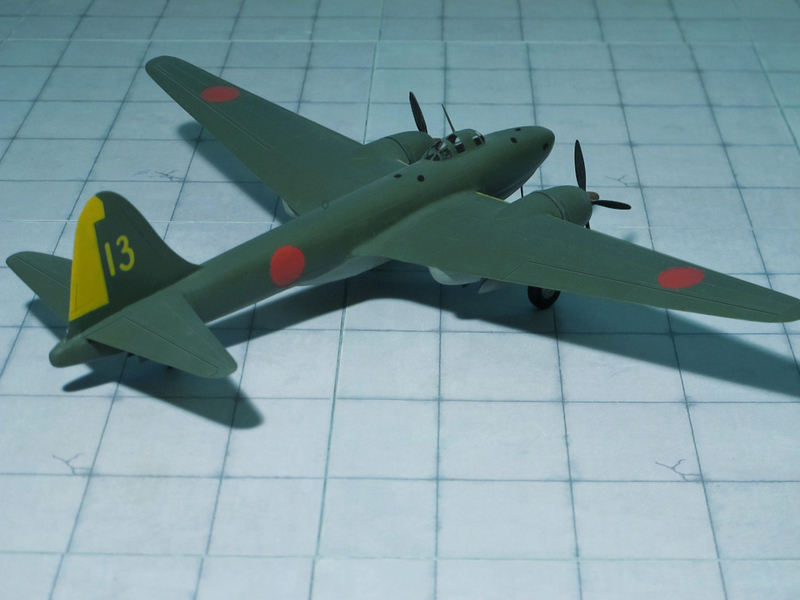 : 1, 24). 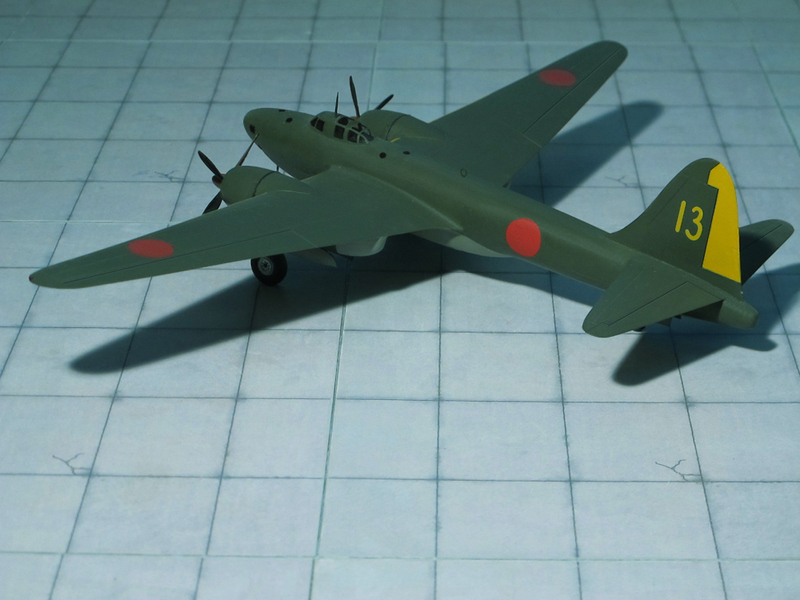 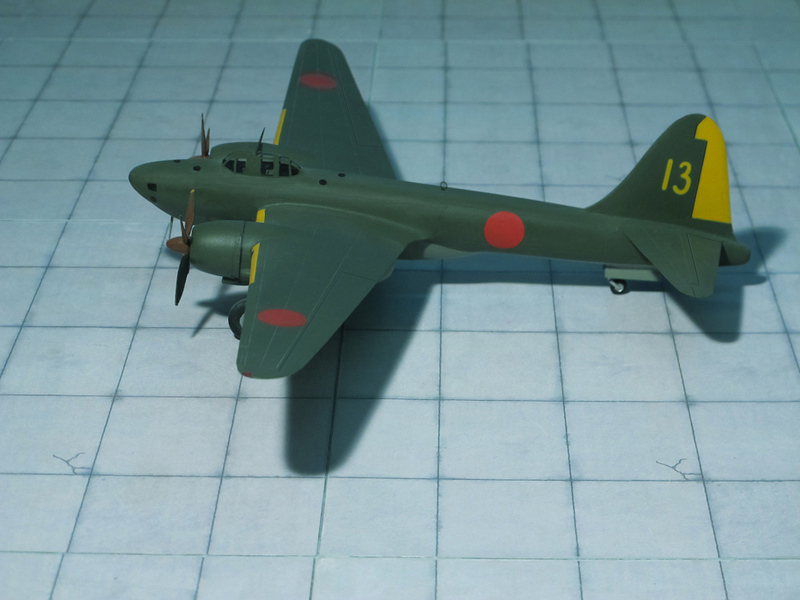 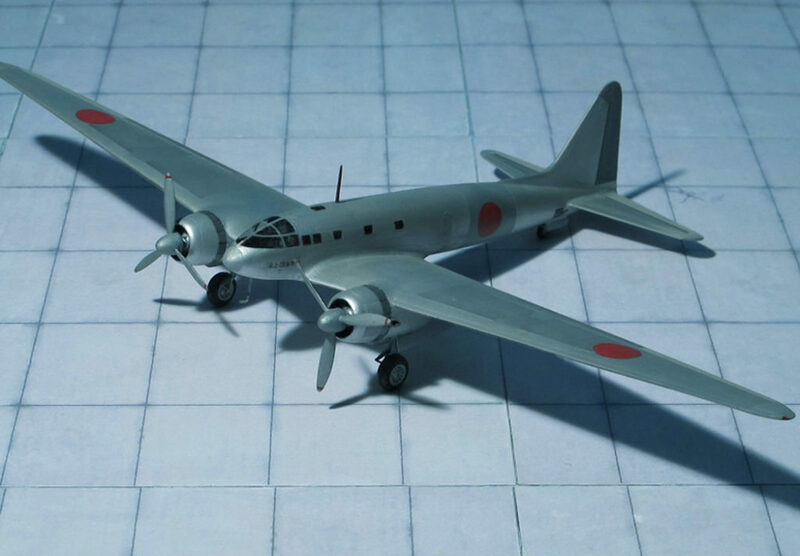 COMMENT: The Tachikawa Ki-74 was a Japanese experimental long-range reconnaissance bomber of WW II. 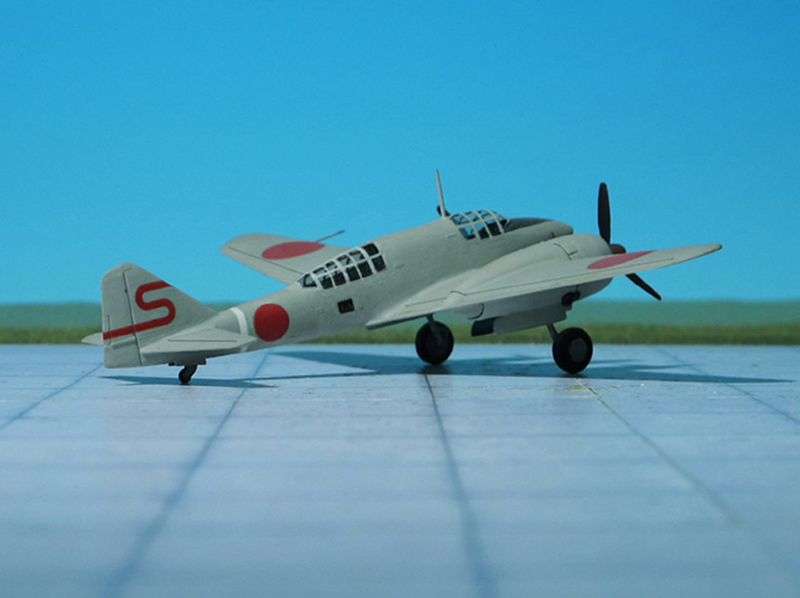 A twin-engine, mid-wing monoplane, it was developed for the Imperial Japanese Army Air Force. 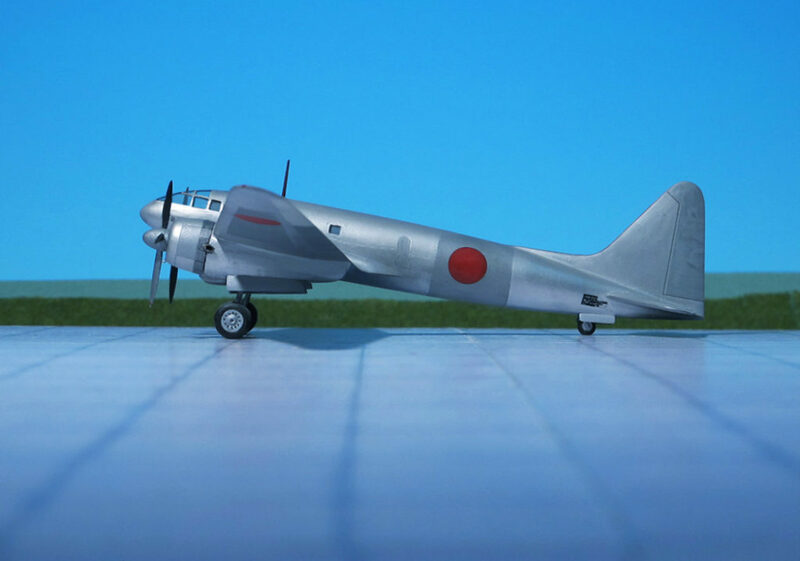 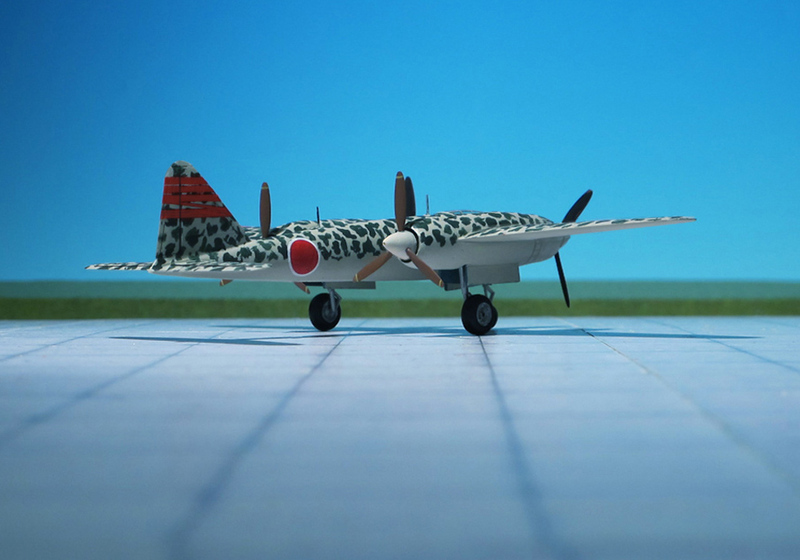 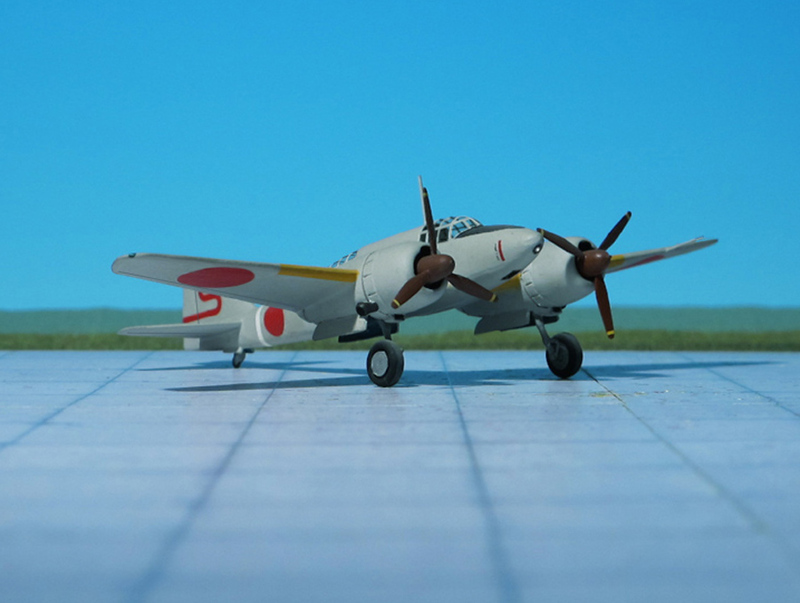 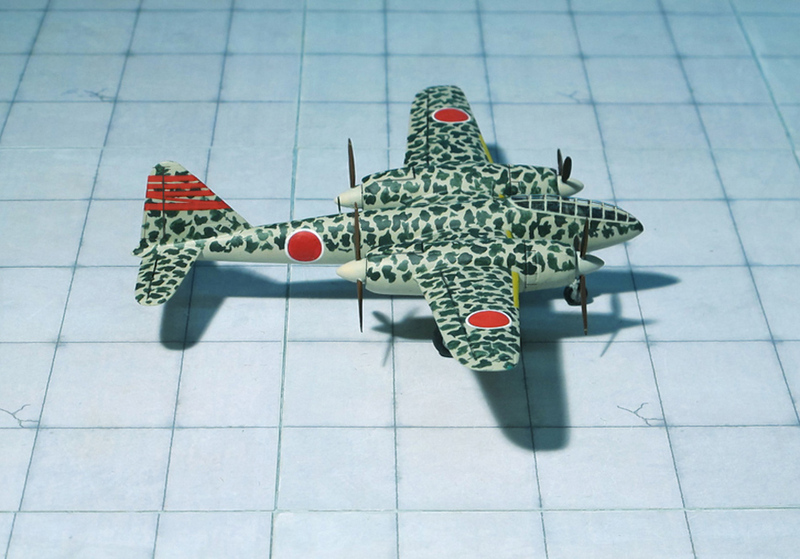 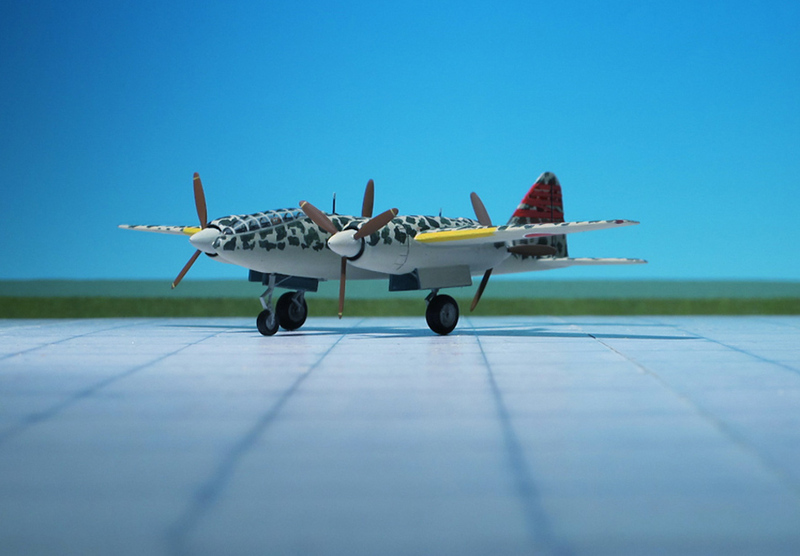 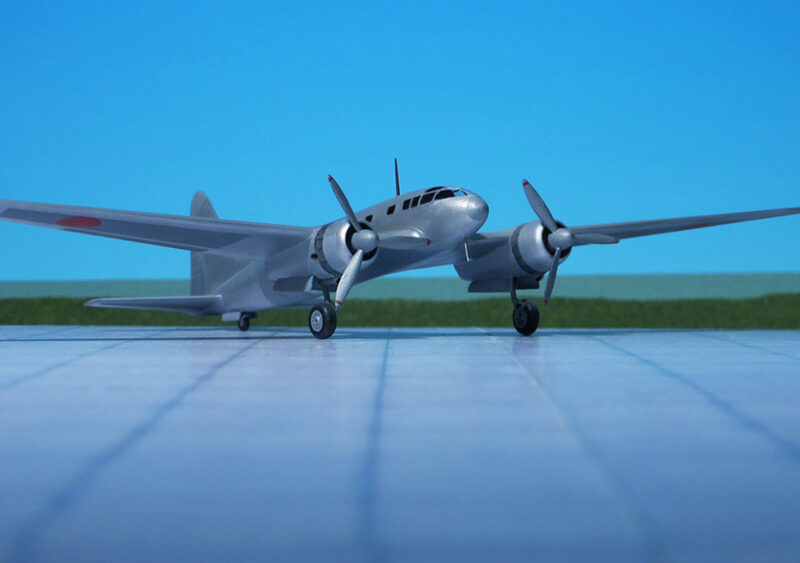 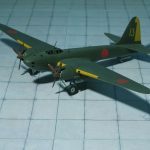 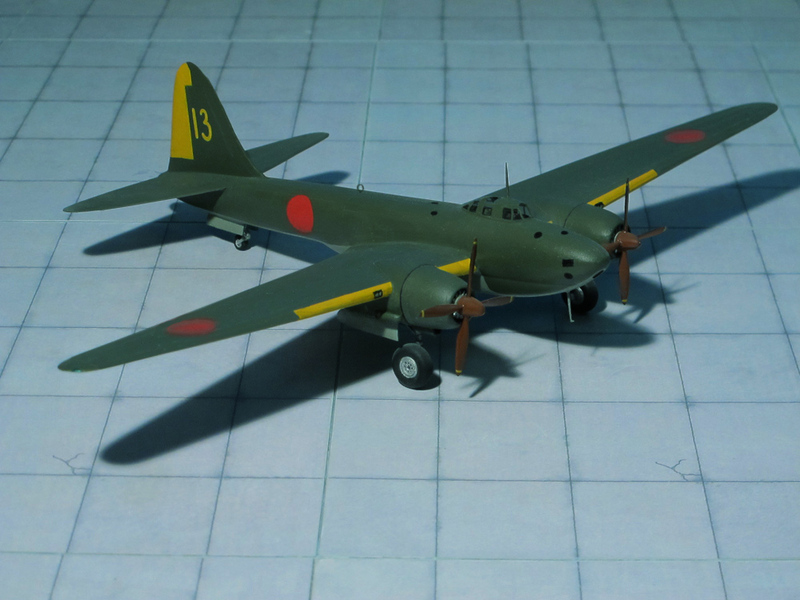 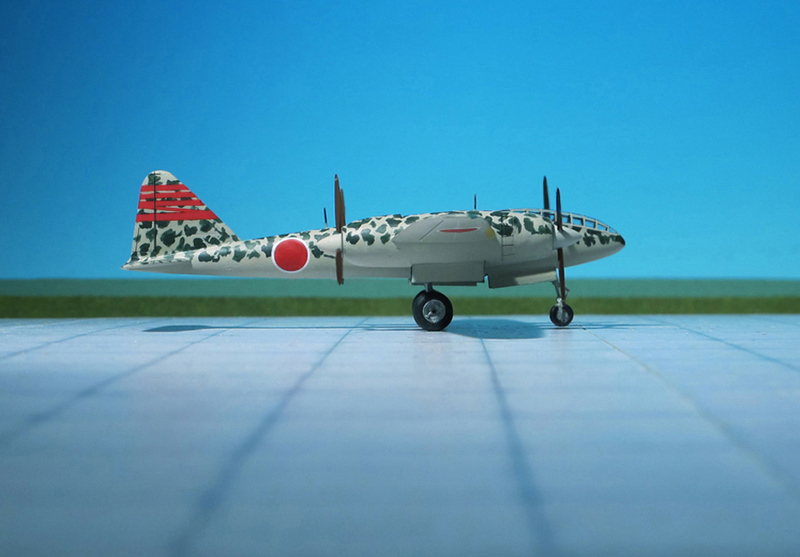 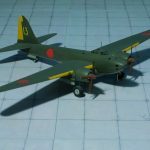 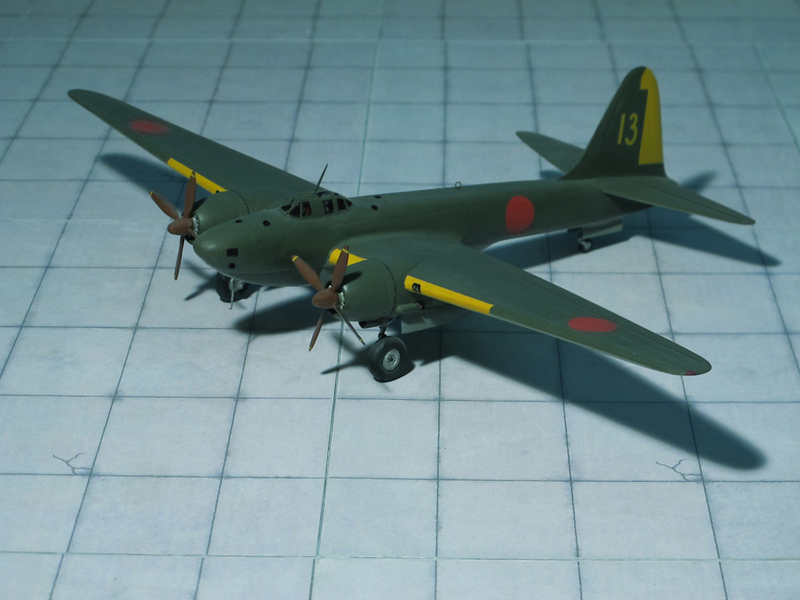 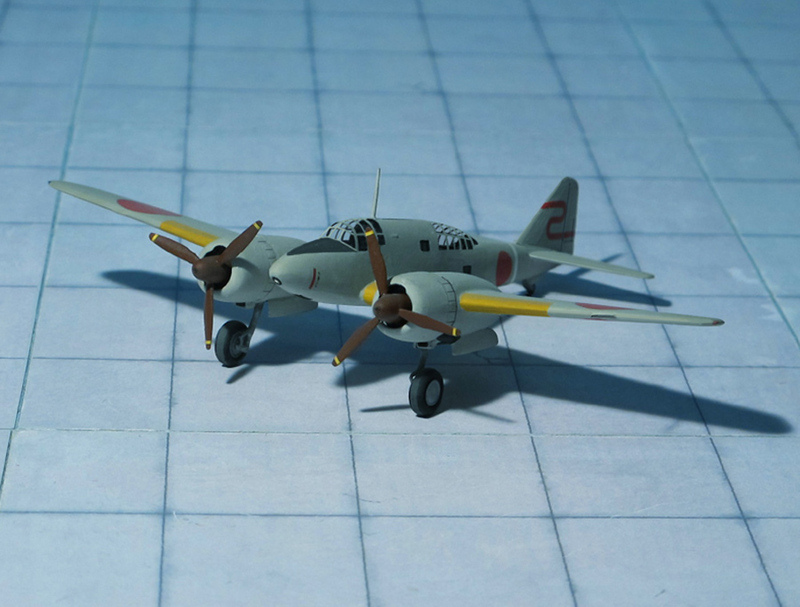 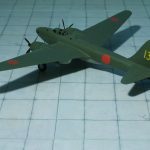 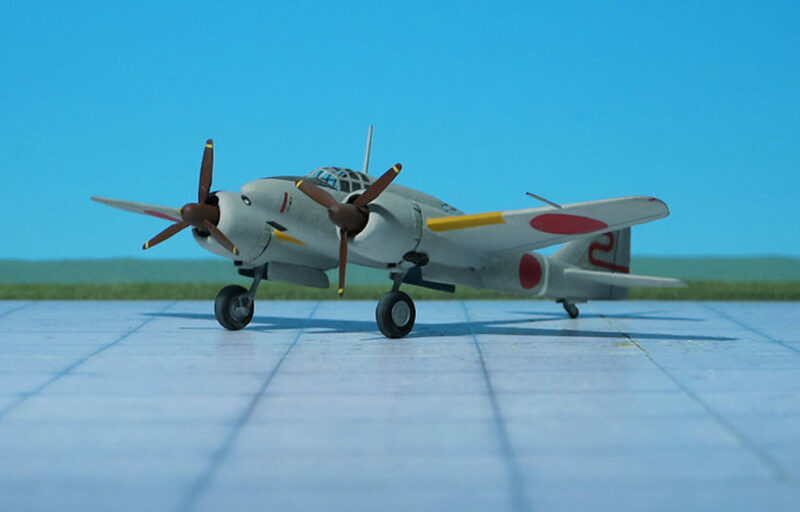 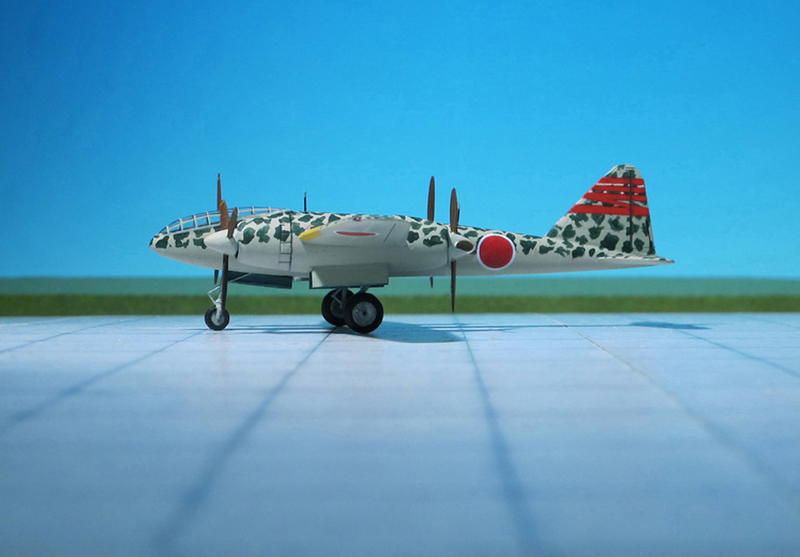 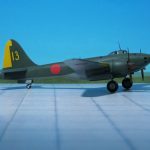 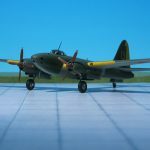 Though already conceived in 1939 as a long-range reconnaissance aircraft, the prototype Ki-74 (designated as A-26 by Tachikawa) only first flew as late as in March 1944. 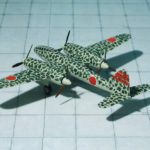 It was powered by two 2,201 hp Mitsubishi Ha-211 (Ha-43-I) radial engines. 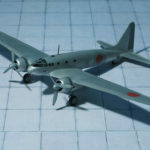 The following two prototypes were powered by the turbo-supercharged Mitsubishi Ha-21-I Ru (Ha-43-II) engines, but as these experienced teething troubles, the following thirteen pre-production machines substituted the Ha-211 Ru engine for the lower-powered, but more reliable, turbo-supercharged Mitsubishi Ha-104 Ru air-cooled engines, rated at 1,900 hp. 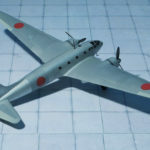 The forth pre-production aircraft was modified in 1944 to undertake non-stop flights between Japan and Germany, but the “Third Reich” capitulated before the first of these flights could be made. 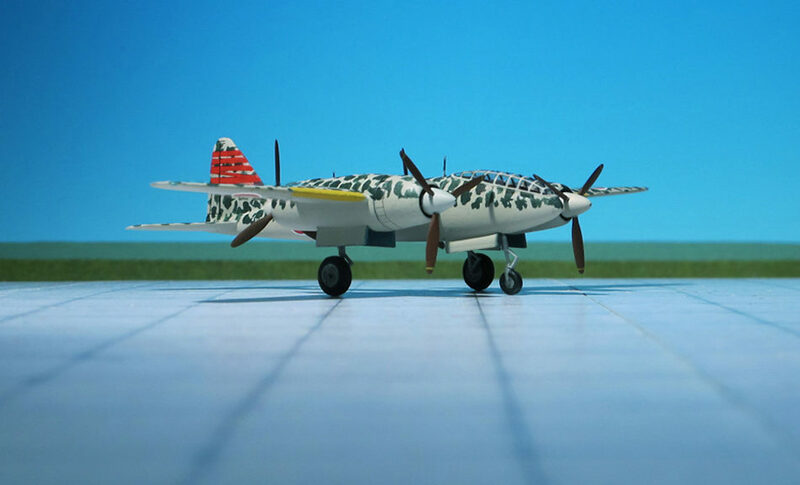 In total 16 aircrafts have been built, but did not see operational service. 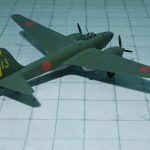 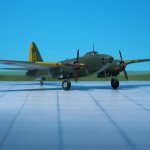 Plans were made to use the Ki-74 in bombing attacks against the B-29 bases on Saipan, as soon as sufficient aircraft were available, but the Japanese surrender terminated the project. 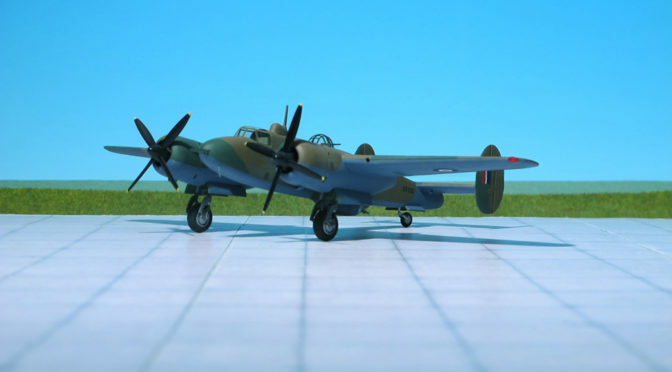 Nevertheless, the Allies knew of its existence and assigned the type the codename “Patsy” after it was discovered that it was a bomber, not a fighter. 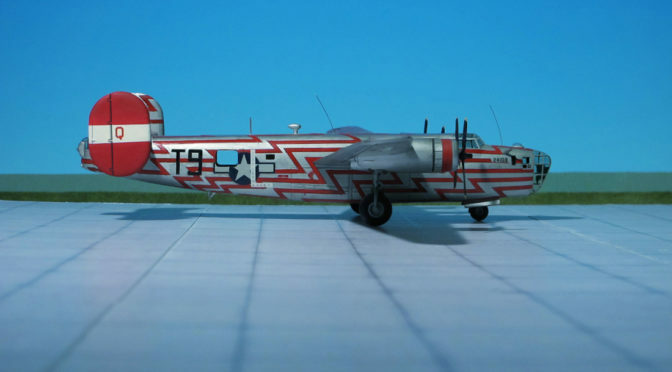 Previously it had the code name “Pat” in Allied Intelligence (Ref. 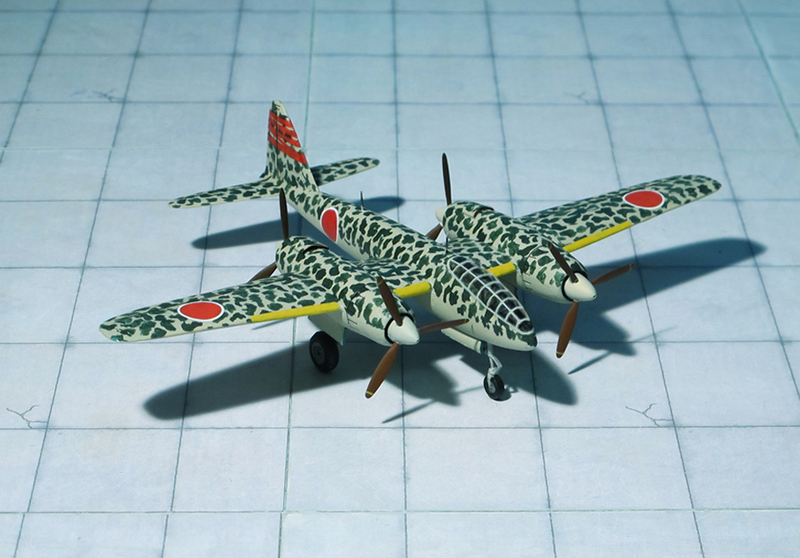 : 1, 24).